Diamonds are Forever | Is This Mutton? I've never had any diamonds - apart from the diamonds that surround the sapphire in my engagement ring. It's not that I don't like them: if money was no object I would love to have a huge cluster of diamonds and a sparkling diamond tennis bracelet. 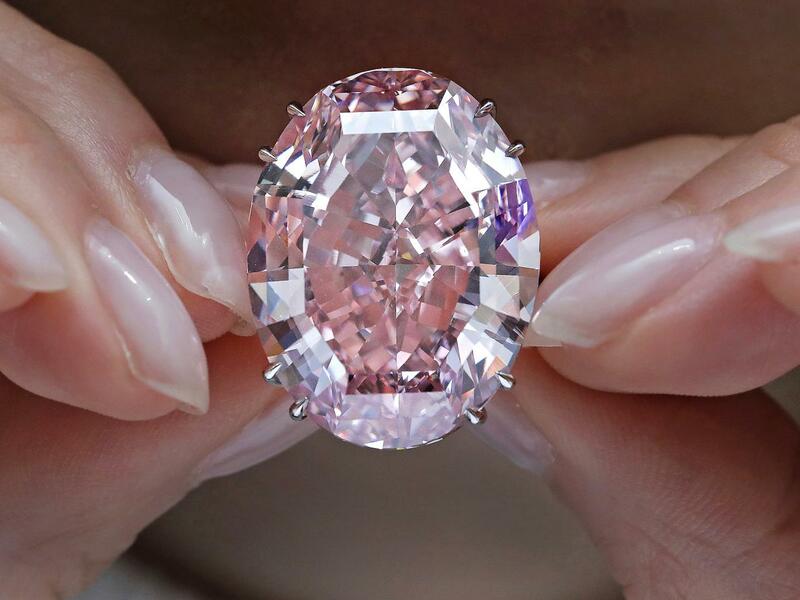 But I'm conscious that it's very easy to spot bad quality in diamonds, and to me, even if a small solitaire is top quality with no inclusions, it's still a very small stone compared to the coloured gemstone I could get. I've happily bought fake diamonds and some of those are very convincing. So, how is diamond quality measured? 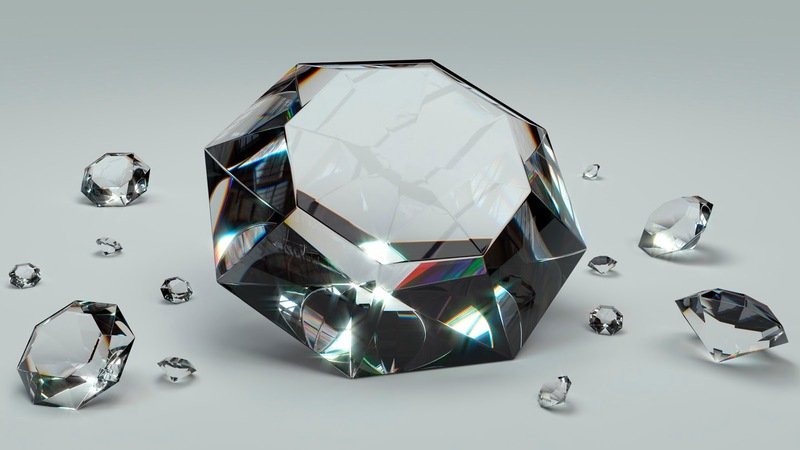 Diamond clarity is a quality of diamonds relating to the existence and visual appearance of internal characteristics of a diamond called inclusions, and surface defects called blemishes. Clarity is one of the four Cs of diamond grading, the others being carat, colour, and cut. The four Cs was established by GIA, the world’s foremost authority on diamonds, colored stones, and pearls, in the 1950s. The GIA grades diamonds on a scale of D (colourless) through Z (light colour). All D-Z diamonds are considered white, even though they contain varying degrees of color. True fancy coloured diamonds (such as yellows, pinks, and blues) are graded on a separate colour scale. The carat takes its name from the carob seed. Because these small seeds had a fairly uniform weight, early gem traders used them as counterweights in their balance scales. The price range for 1 carat diamonds is between $3,080 and $26,950 per carat. Round Brilliant Cut stones have a 6.5mm diameter. 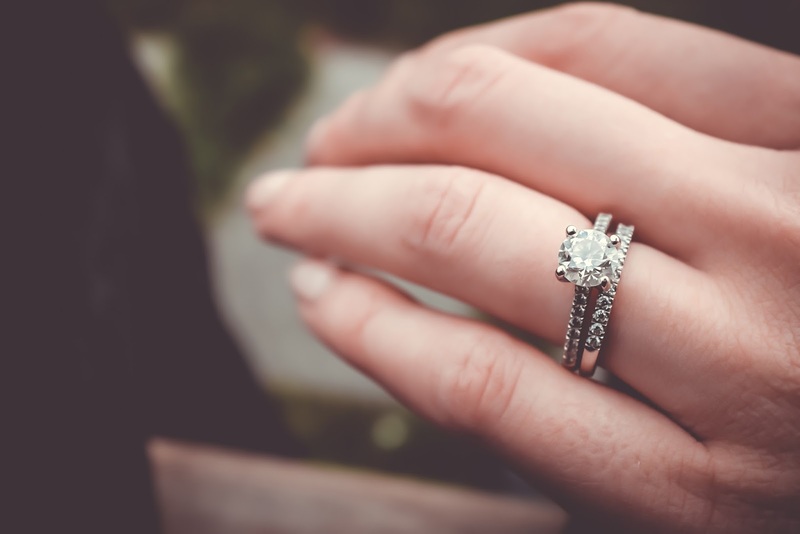 Diamonds are most often bought as engagement rings, and the average cost in the UK is likely to be three months' salary, according to Brides.com. But these days the cost is often shared between the couple so it's not too unrealistic. Brilliant Earth has a very good guide to buying ethically sourced diamonds . 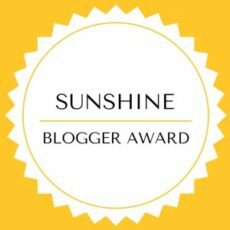 I'm not going to feature any engagement or eternity rings because if you're in the market for those you'll be doing a lot of research (maybe having your dream rings made to order). No, what I've got in mind are some affordable diamonds we can buy for ourselves because we like them. My first stop is always the excellent Gemporia. Drop earrings are still very fashionable. These pretty earrings from Gemporia feature 0.50 ct of diamonds in 9k gold, for £242. 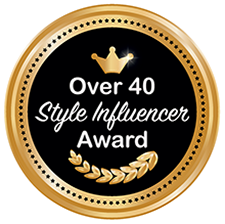 A diamond tennis bracelet is always a stylish addition to an outfit. You may wonder, why "tennis bracelet?" They're named after tennis star Chris Evert, who halted the 1987 US Open match when her diamond bracelet fell off during a vigorous rally. This tennis bracelet is set in silver, with 0.75CT of diamond, price £359 from The Diamond Store. If you have a bigger budget, this bracelet, below, features 7CT of diamond set in 18K white gold, price £9,927 from James Allen. Simulated diamonds are another way of saving money, and sometimes only a jeweller can tell the difference.Fancy a replica of Meghan Markle's engagement ring? 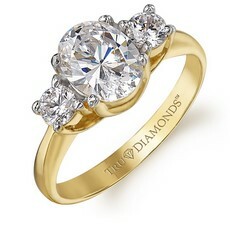 Just £149 from Tru Diamonds. Finally, how about a real diamond tiara? 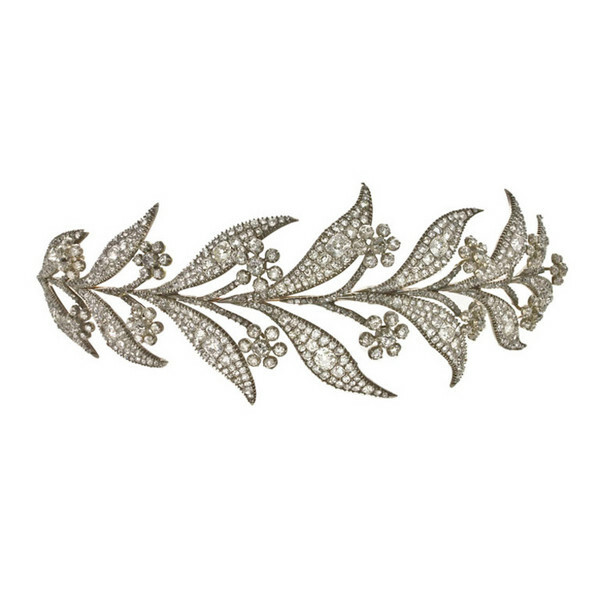 The Downton Abbey Georgian Diamond Floral Tiara worn by Lady Mary on her wedding day to Matthew Crawley is currently available, price on request, at Online Galleries. 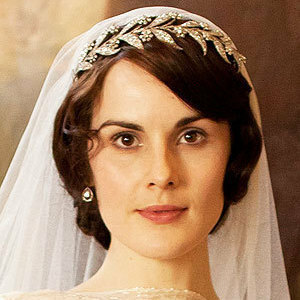 And here's the lovely Lady Mary (Michelle Dockery) wearing said tiara.